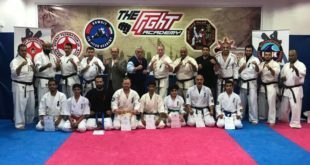 KFK held a Kyokushin Kuwait Breaking/Tamashiwari Seminar with Shihan Liam keaveney 7th Dan General Secretary of the International Federation of Karate (Kyokushin) on the 11 of December 2014. 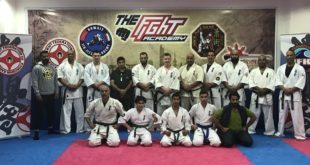 The training was focused Self Defence and Breaking/Tamashiwari with introduction exerciser. 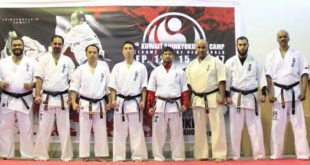 The level and teaching of Shihan Liam keaveney was a true Budo experience all Kyokushin and other styles of Marital Arts who took part in the Seminar were admired by the depth of knowledge that was presented by the intstructor.